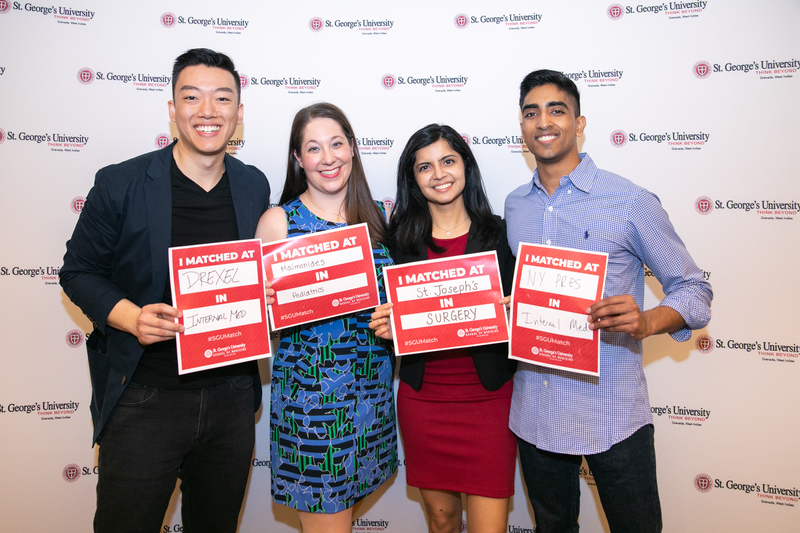 On Match Day 2019, St. George’s University students and graduates once again demonstrated their aptitude and excellence, with more than 890 securing first-year residency positions in the United States. The numbers are expected to climb in the coming weeks. 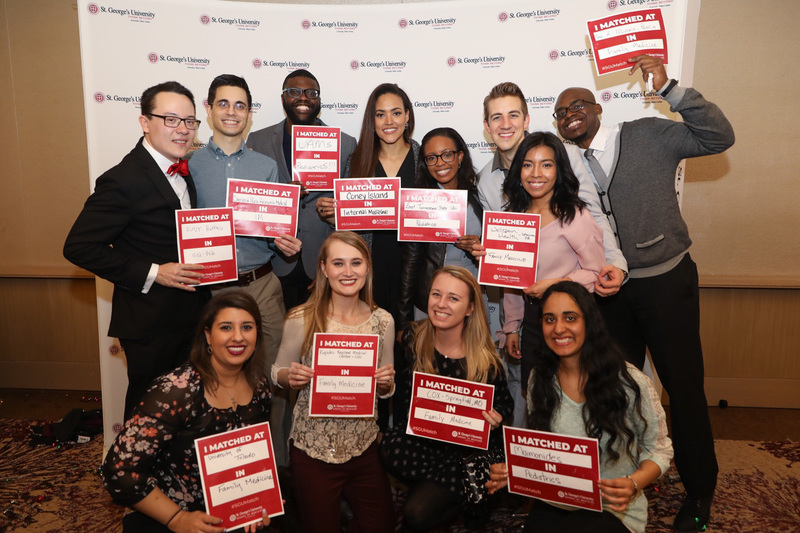 Students matched into highly competitive positions in such fields as anesthesiology, child neurology, diagnostic radiology, emergency medicine, family medicine, internal medicine, internal medicine/emergency medicine, internal medicine/pediatrics, neurology, obstetrics and gynecology, pathology, pediatrics, physical medicine and rehabilitation, psychiatry, surgery, urology, vascular surgery. They will join residency programs in 42 US states and the District of Columbia this summer. Ms. Antoine was raised in Haiti before earning her bachelor’s degree at Brooklyn College. When considering options for medical school, she seized the opportunity to enroll at SGU. Al Lore, MD ’19 (expected), will join the Department of Obstetrics and Gynecology at Beaumont Health in Dearborn, MI. As an SGU student, he appreciated the camaraderie among his medical school brethren in Grenada, and felt a similar tight-knit community at Beaumont. Like other Class of 2019 members, Mr. Lore waited anxiously for the news to arrive on Match Day. It proved to be well worth the wait. 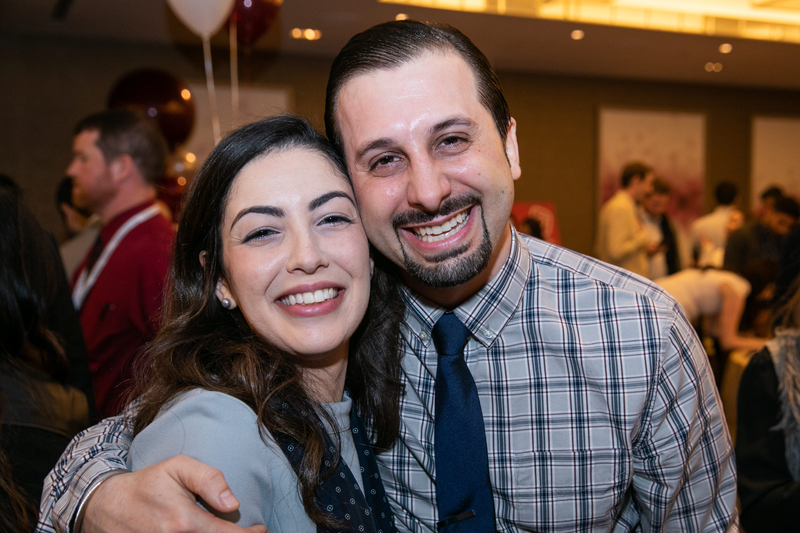 Adam Lane, MD ’19 (expected), will begin residency with the internal medicine program at Zucker School of Medicine at Hofstra/Northwell/Mather before going on to a diagnostic radiology residency at Morristown Medical Center in Morristown, NJ. Even for someone who describes himself as “laid-back,” Match Week made for an anxious time. He was thrilled to discover that he’d go into Atlantic Health’s program at Morristown. Mr. Lane feels that his inquisitive nature is a natural fit with the field, and he’s also looking forward to serving the departments throughout the hospital. 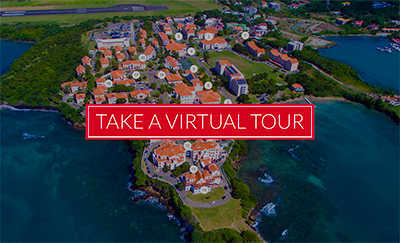 While some had never visited Grenada prior to medical school, it had long been a second home for Anna Stransky, MD ’19 (expected). Her father, Martin Stransky, graduated from SGU in 1983 before going on a long and successful career in neurology. Anna had first visited there while her father was still a student, and many times over while growing up in Connecticut. Her own SGU experience has catapulted her to an internal medicine residency position at Stamford Hospital in the aptly named Nutmeg State. It was her top choice. 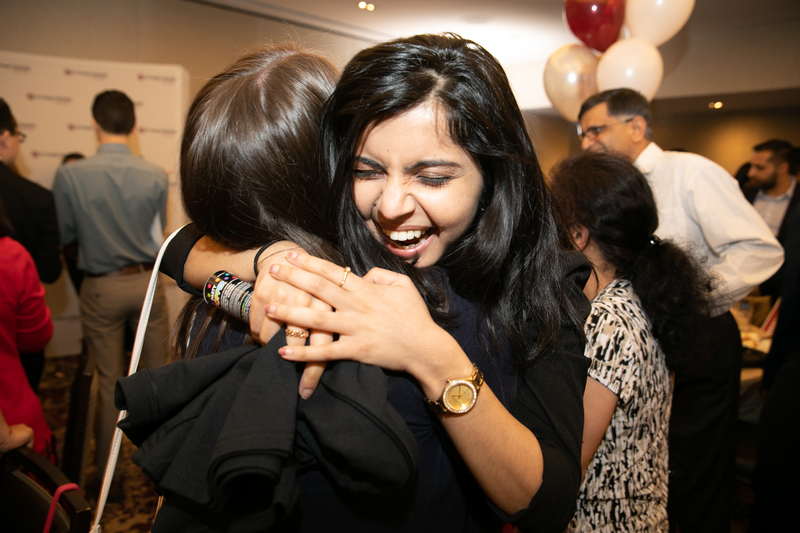 “The road was long and sometimes bumpy, but I’m very happy to finally have the chance to be a practicing physician,” she said. Ms. Stransky pointed to her support system as part of the reason for her success. That includes the friends she made on the island. 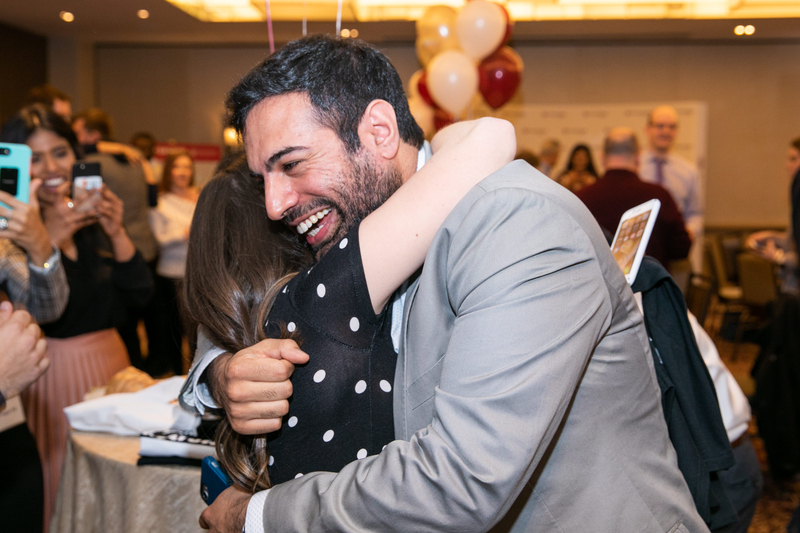 Like Ms. Stransky, Muaaz Masood, MD ’19 (expected), is headed home. 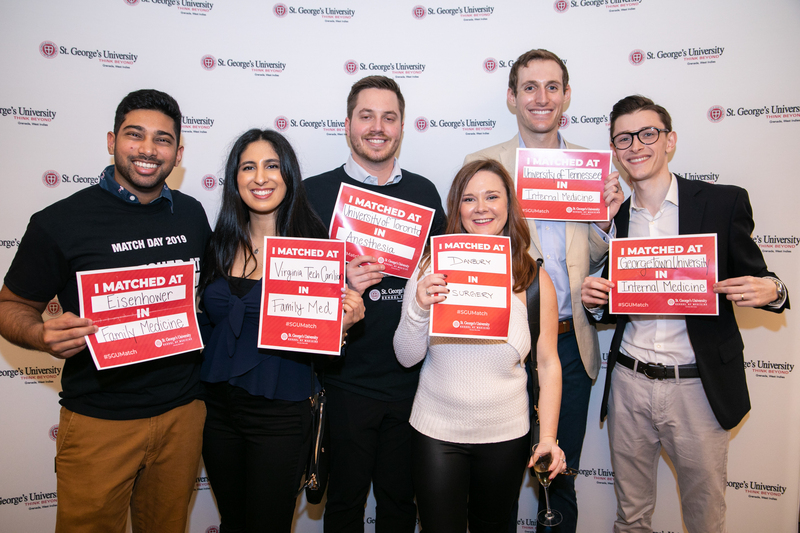 He grew up outside Atlanta, and will begin his internal medicine residency at the Medical College of Georgia this summer. Mr. Masood was able to spend time in Georgia, having rotated at DeKalb Medical Center, one of SGU’s 70-plus clinical affiliates. 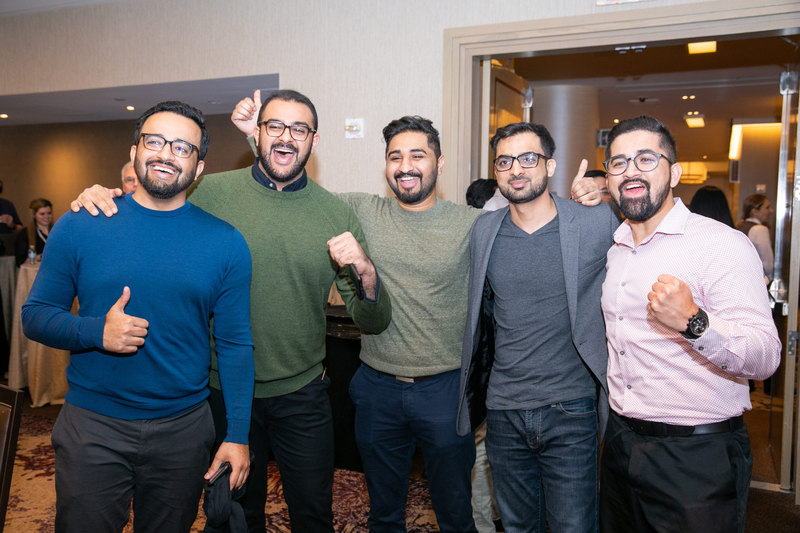 He also took advantage of the expansive network of hospitals at which SGU students rotate, having trained in New York, Florida, and California as well. His travels took him well away from where he’d end up, but also gave him great perspective. 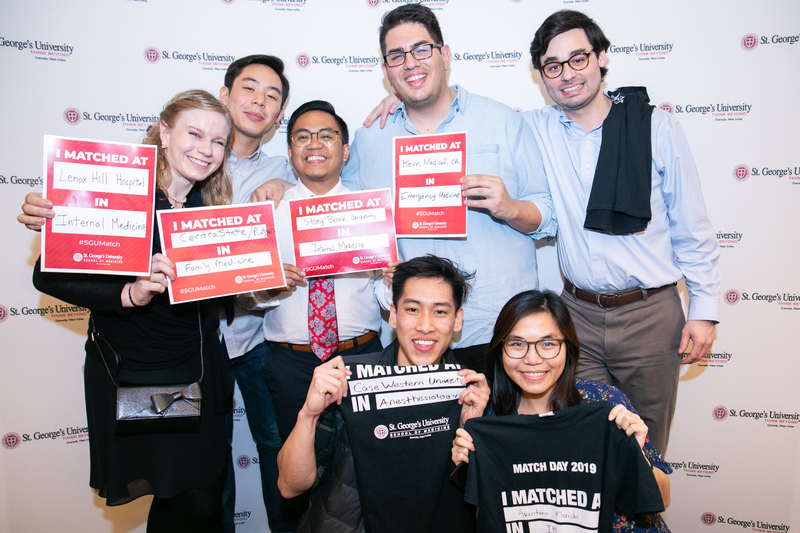 The Match Day news came just two weeks after 16 SGU students secured first-year residency positions in Canada through the Canadian Resident Match Service. 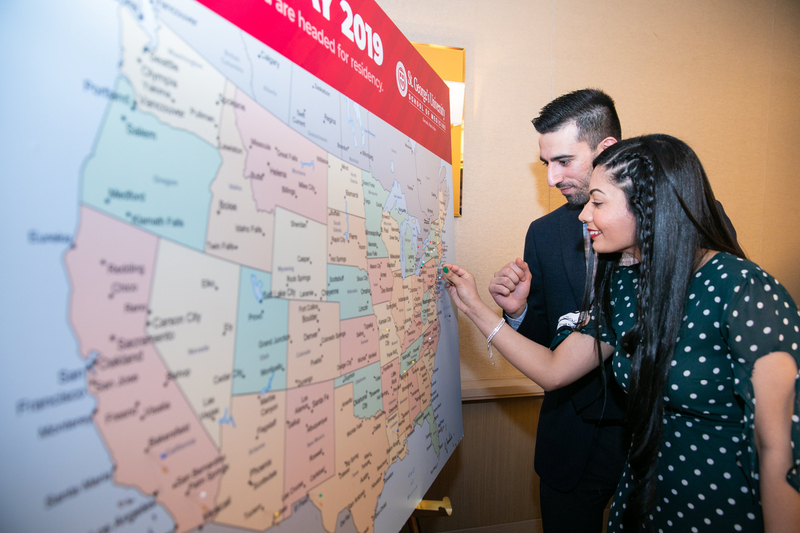 For the complete list of 2019 residency appointments and a broad view of SGU’s track record of placing doctors in the US workforce, visit the SGU Graduate Success page.